Innovative, stylish and practical, the Aviate Prescription pilot sunglasses from Rapid Eyewear are perfect for spectacle wearers searching for the optimum in visual clarity in the cockpit. They bring all the benefits of our non-prescription eyewear, including interchangeable lenses, wrap-around styling and superior eye protection to those with less than perfect eyesight - all for a highly competitive price. Flat side arms make for a comfortable fit under a headset; they offer 100% UVA / UVB protection, and conform to all CAA recommendations. We are delighted to offer a full prescription service for customers who want the least amount of hassle when having their Aviate sunglasses glazed, and at the best price possible - you'll also enjoy the fastest turnaround times. To order, please select the option you require from the drop-down menu at the top of this page and fill in the fields as appropriate. If any of the specified fields are blank on your prescription form, simply leave them blank here too. Our aviation prescription sunglasses are built around a matt-black finished frame that has a prescription Rx clip housed in the back, whilst the tinted, interchangeable lenses sit on the front. This two-part arrangement allows for great versatility and performance, without compromising on the stylish look. 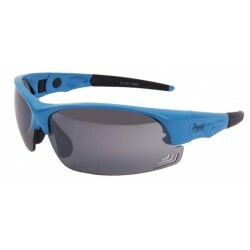 The wrap-around frame blocks unwanted wind and light encroaching from the sides and bottom of your vision. The frames are lightweight and tough, whilst the Rx clip, made from an almost indestructible TR90 material, ensures maximum protection for your eyes from impact. An important feature of our Aviate sunglasses is that, unlike other types of Rx eyewear, your eyelashes will not touch the lenses. 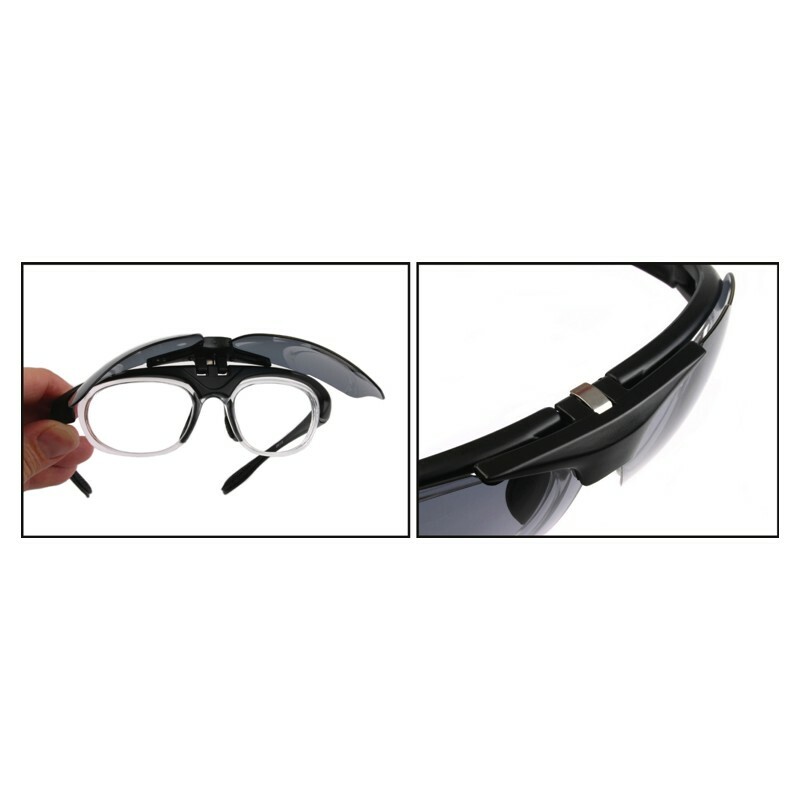 The tinted lenses clip onto the top of the frames, allowing them to be flipped up for momentary 'normal' vision when required. Yes - the frames have flat side arms, making them perfect for use with any headset. 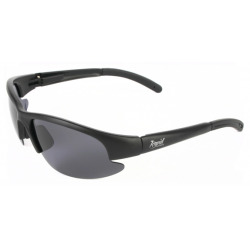 Wrap-around sunglasses offer great benefits when it comes to blocking unwanted light and wind from the sides of your vision, but placing a curved lens in front of your eyes would normally cause distortion. However, all Aviate lens sets are de-centred, which means they are calibrated to remove the distorting effect. 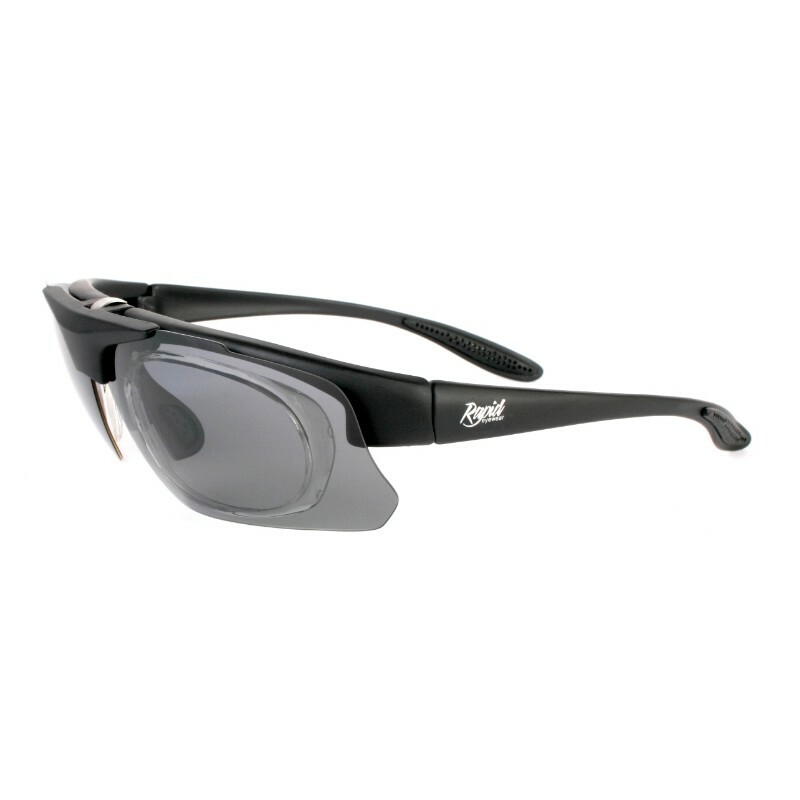 Rapid Eyewear sunglasses conform to the new ISO 12311 and 12312 standards for sunglasses and protective equipment testing. This standard has now replaced EN1836 in the European Union. 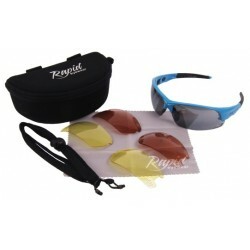 They offer 100% UVA / UVB (UV400) protection. Aviate pilot sunglasses can be used for any regular (single-vision) prescription where the SPH (sphere) requirement is no stronger than plus or minus 4.5. 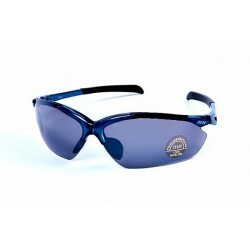 Due to the curvature of the tinted lenses, they will not be suitable for those with very strong prescription requirements that exceed 4.5. 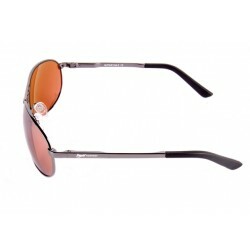 The Aviate are also suitable for bi-focal, varifocal and prismatic lenses. We are pleased to offer a full prescription service for single-vision and bifocal customers at prices that are highly competitive and indeed cheaper than most opticians. 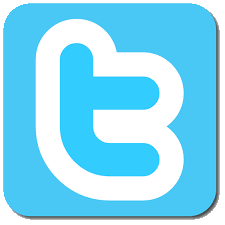 To take advantage of this service, select your chosen prescription from the buying options at the top of this page. if you have a requirement for varifocal or prismatic lenses, please purchase the glasses only and take them to your regular optician to have the prescription lenses fitted. This is the distance, in millimetres, between the pupils of your eyes, when measured across the front of your glasses. A PD can range from 55 up to 70mm - please supply this information if you can. Most opticians in the UK do not put the PD on a standard prescription card - if you do not know your PD, ask your optician to let you know what it is. If they do not know, or are unwilling to release the information, you can measure it simply yourself, by asking a friend to hold a ruler up against your glasses whilst you are wearing them. Try to be accurate, but note that, if you are 1 - 2mm out on your calculation, your glasses should still be fine. How Long Will it Take to Make My Sunglasses? Our turnaround time is 7 - 10 days from the date of order. 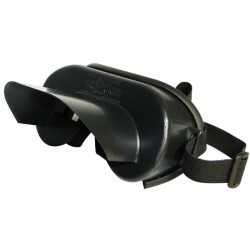 We have a good stock of spares - if there is anything you need, please ask and we shall be happy to help - they can also be purchased from this website by selecting the 'spares' tab on the 'Choose your Sport' menu. In addition to our normal 12-month warranty, we will be happy to work with you should you discover the prescription sunglasses as made are not working correctly. If we subsequently discover that we have not made the sunglasses correctly, we will be happy to rectify the problem free of charge. However, extra fees may be incurred if the optical work has been executed incorrectly due to our having received incorrect or insufficient information from the customer. 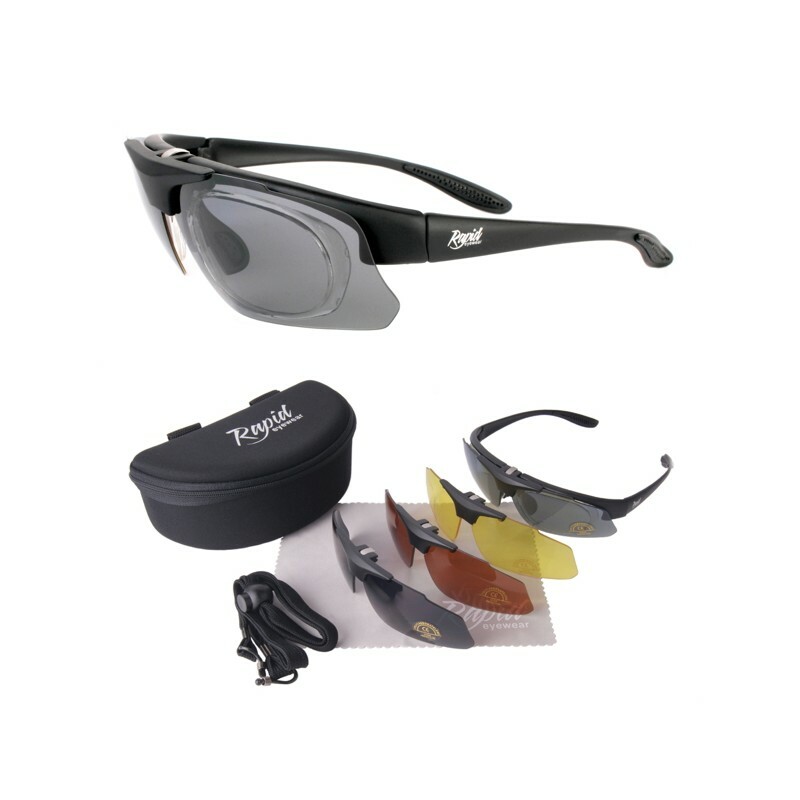 Polarised Category 2 lens, for anti-glare - not recommended for flying but great for driving etc. 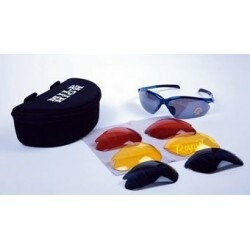 Polarised Category 3 lens, for anti-glare - not recommended for flying but great for driving etc. 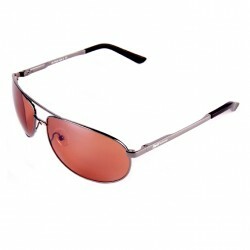 Please note that polarised lenses remove glare by filtering horizontal light. This can make it difficult to read digital instruments and for that reason, they are not recommended for flying. 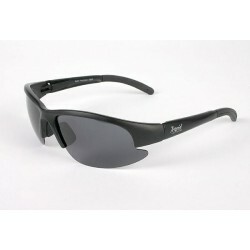 They are, however, ideal for general sports and leisure use.